Description PEOPLETM helps organizations increase productivity and market share by ensuring our clients have the right people with the right skills in the right roles. 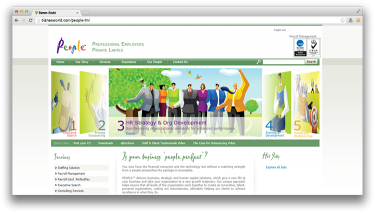 PEOPLE’s core service offerings include HR Strategy & Organizational Development,Employee Outsourcing, Executive Search. Business Process Outsourcing and Training & Development. Address Plot One – B/1, Sector 30, Korangi Industrial Area, Karachi.